We take our responsibility seriously and do everything possible to ensure your child’s safety while in our care. Our skilled bus drivers are trained and certified according the laws of the state of California. We appreciate your interest and ask that you help your child learn the rules of safety so we can maintain our outstanding safety record. Please let us know if you have any questions or concerns. Riding the school bus is a privilege, not a right. 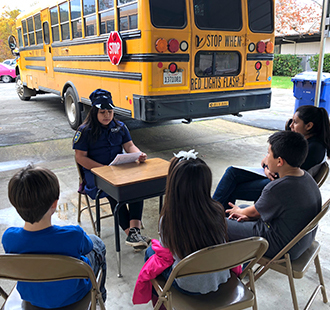 We enforce bus rules to make travel to and from school as safe as possible. Please abide by these rules to help us keep everyone safe. If you have any questions about the transportation rules or routes, please feel free to call us.